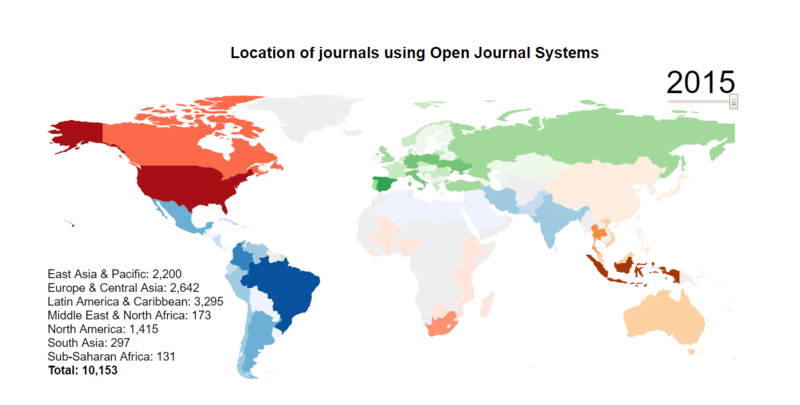 We are very pleased to announce that PKP’s Open Journal Systems is now being used by more than 10,000 active journals around the world. This makes OJS the leading online publishing platform, with more active titles than any other provider, including the major commercial publishers. These numbers only include journals that are active, defined as having published at least 10 articles in the current year (with an average of 42 overall). 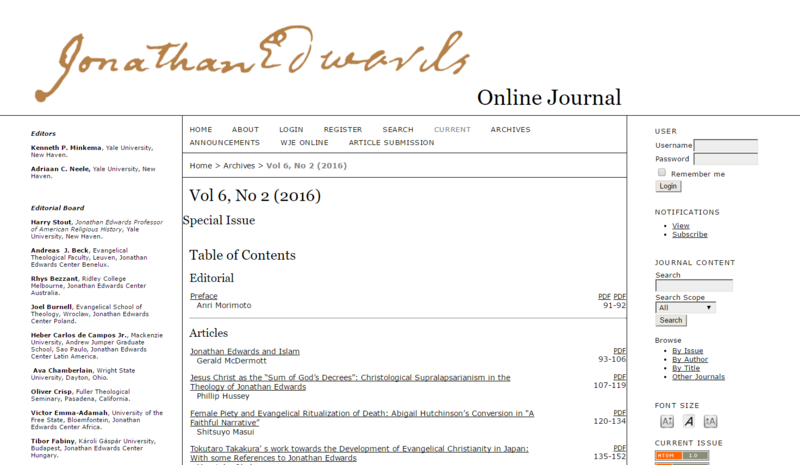 There are many more OJS journals that have not published 10 articles this year, either because they have paused or ceased publishing, have a low publication output this year (i.e., less than 10), do not use OJS for their latest year of publishing, or because they are being used to display an archived journal. Over the years, we’ve also learned of OJS being used for internal reports, for grant applications, as a Learning Management System, for theses submissions, and in other unanticipated ways. None of these innovative uses are captured in these figures. Between these 10,000 journals, they have published over 420,000 articles, the vast majority of which are open access. 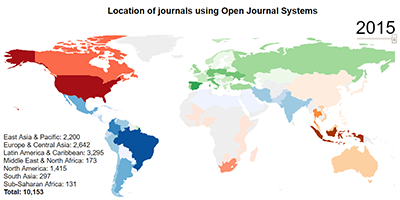 Latin America and the Caribbean account for 3,295 journals, making it the largest region of use. Brazil alone has 1,934 journals. Overall, 60% of all OJS journals are located in the Global South, playing an important role in building local publishing infrastructure. Examples of the diversity of OJS journals include Holos Environment published by São Paulo State and the Jonathan Edwards Studies Journal at Yale; the Hydro Nepal: Journal of Water, Energy and Environment located in Kathmandu, and Canadian Journal of Sociology at the University of Alberta. The Indonesian Journal of Pharmacology is published by Gadjah Mada University in Indonesia, and the International Journal of Žižek Studies resides at Leeds University. Some surprising titles that have merged include BOSS: The Biannual Online-Journal of Springsteen Studies supported by the McGill University Library and Dancecult: Journal of Electronic Dance Music Culture from Griffith University ePress. 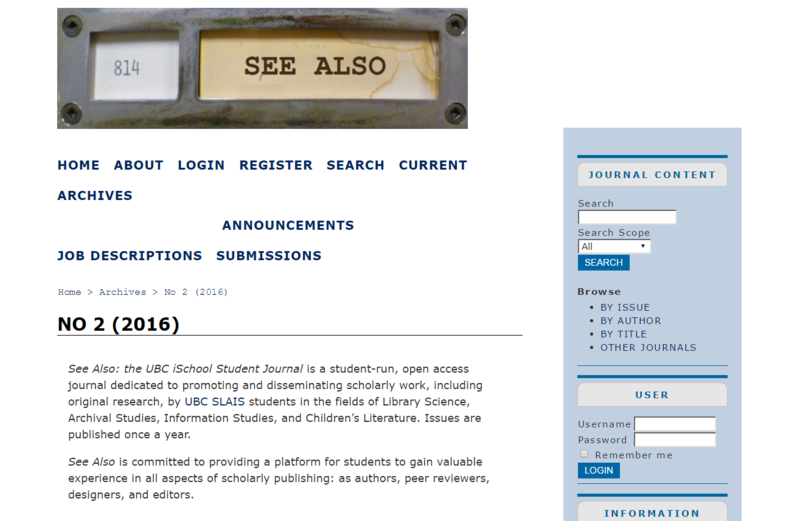 OJS is also increasingly being used by student-led journals, such as See Also from the University of British Columbia and the Canadian Journal for New Scholars in Education from the Canadian Committee of Graduate Students in Education. Documentation writers and reviewers, who create and revise documentation to help others learn how to use the system. All of these people donate their time and expertise for the benefits of everyone in the community, and we thank them for their invaluable contribution to this significant milestone for OJS and PKP.